We welcome you on the website of Spanish mastiff kennel “Bene vertat”. That means “Good luck to you”. We wish a success each our pet. The people say “As you name the boat, so shall it float”. BENE VERTAT – is a professional kennel, and we use for dogs breeding only the best dogs from the country of origin and the dogs from the famous kennels of Europe. The main goal – to get healthy and beautiful, temperamental, well-bred Spanish mastiffs with excellent exterior features, stable psyche to participate in exhibitions and breeding, as well as companions and pets. If you live in the countryside you often think about a dog. When you are ready to buy a dog, another question arises – breed of dog. We had the same questions… We built a country house, moved in and began to think about the dog, who can protect the house, child-friendly and does not show aggression in the opponent’s territory if there is no threat to the owner. We visited a lot of kennels with different breeds, until we saw him – His Majesty – Spanish Mastiff. We fell in love with him at once: in his eyes, his character, great size and kindness. It was our first Giant. He was brought from the famous European kennel. My hobby led me to create a kennel to breed healthy and well-bred dogs and to represent the breed at the exhibitions in Russia and all over the world. Our dogs are socialized, friendly, kind with children and pets, they are also very useful as a protector of farm, house and family. Our dogs get super premium dry food, have annually vaccination, deworming, passed the test for excellent mentality, have a certificate of absence of dysplasia. It is very important in giant breeds. All our puppies have the docs from RCF, veterinary passport with vaccinations, deworming, mark of vet about dog health and dog’s stamp, (chip on request). All the puppies are socialized. 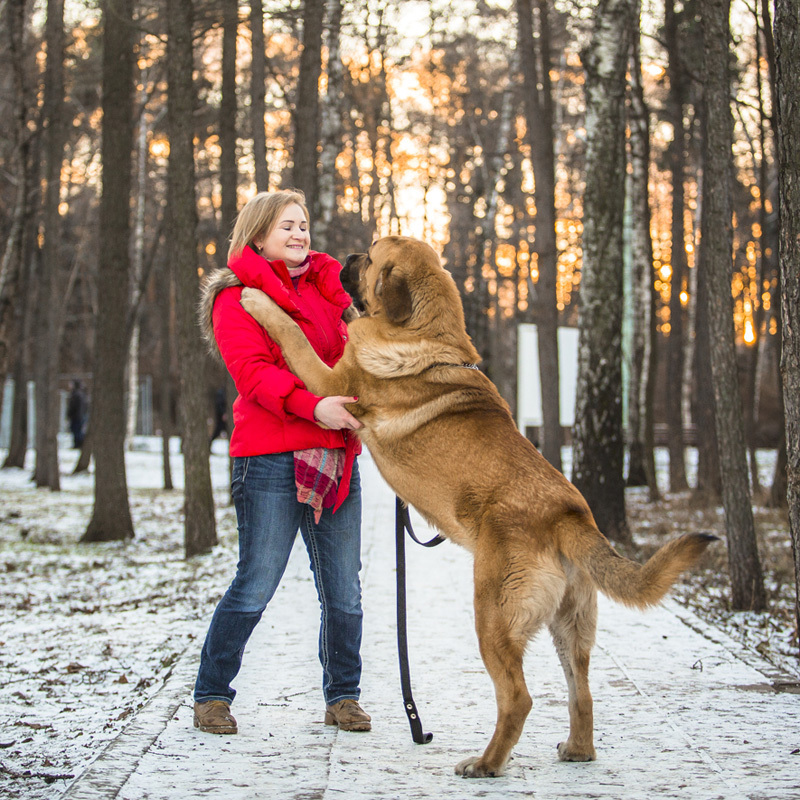 Our kennel BENE VERTAT is situated 10 km from Moscow in the East of Moscow region.